Dr. Allan Spreen is NorthStar Nutritionals' Chief Research Advisor. He personally approves and endorses every NorthStar Nutritionals supplement, pain relief formula and natural health product. Dr. Spreen has been helping people stay healthy and disease-free as a private doctor, published author, and noted researcher. Nationally acclaimed as America’s “Nutrition Physician", Dr. Spreen is the author of Nutritionally Incorrect — Why The Modern Diet is Dangerous and How to Defend Yourself, as well as co-author of Smart Medicine for Healthier Living. 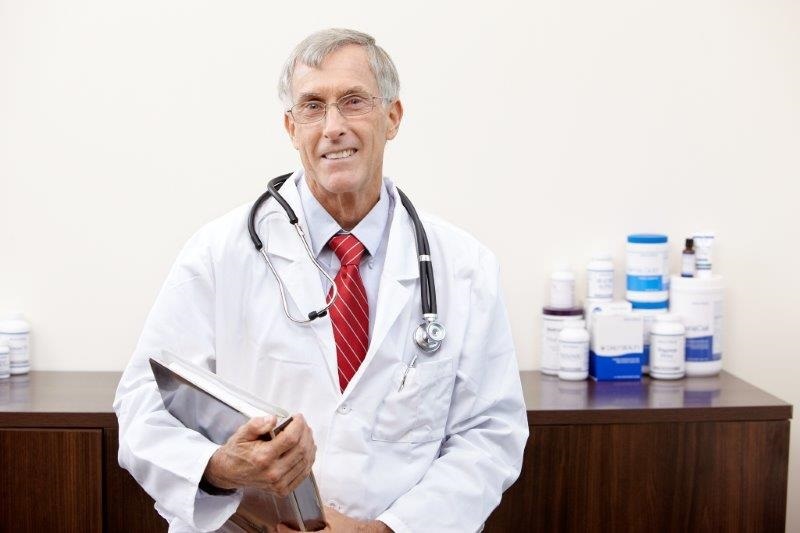 Dr. Spreen has also been featured on the Discovery Health channel for his expertise and experience in finding natural solutions to the worst health problems of today. In addition to his role as a Senior Member of the prestigious Health Sciences Institute Advisory Panel in Baltimore, MD, Dr. Spreen also coaches diving at the international and Olympic levels. Dr. Spreen personally approves and endorses every NorthStar product. Dr. Spreen reveals his top natural health remedies in the presentations below. To watch each video, open one of the three links below, click the "play" button located below the main product image, and make sure your speakers are on. The strange secret to "instant pain relief"
To learn more about Dr. Spreen, check out his full bio here.